The department contracts for behavioral health services through regional systems of care called Managing Entities (MEs). These entities do not provide direct services; rather, they allow the department’s funding to be tailored to the specific behavioral health needs in the various regions of the State. Executed Managing Entity contract documents are available on the Florida Accountability Contract Tracking System (FACTS), maintained by the Florida Department of Financial Services using the links provided. Serving Bay, Calhoun, Escambia, Franklin, Gadsden, Gulf, Holmes, Jackson, Jefferson, Leon, Liberty, Madison, Okaloosa, Santa Rosa, Taylor, Wakulla, Walton, and Washington counties. Serving Charlotte, Collier, DeSoto, Glades, Hardee, Highlands, Hendry, Hillsborough, Lee, Manatee, Pasco, Pinellas, Polk and Sarasota counties. 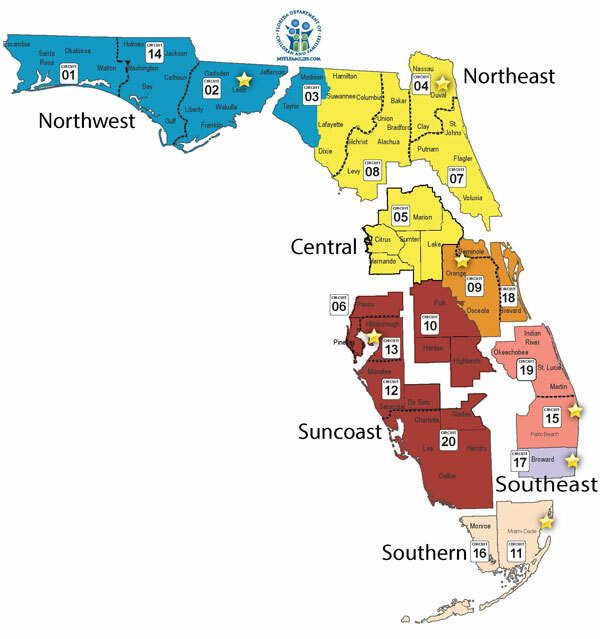 Serving Brevard, Orange, Osceola and Seminole counties. Serving Alachua, Baker, Bradford, Citrus, Clay, Columbia, Dixie, Duval, Flagler, Gilchrist, Hamilton, Hernando, Lake, Lafayette, Levy, Marion, Nassau, Putnam, St. Johns, Sumter, Suwannee, Union and Volusia counties. Serving Miami-Dade and Monroe counties. Serving Indian River, Martin, Okeechobee, Palm Beach and St. Lucie counties.